Ready to tackle the wildest adventures, KYMCO Mongoose 90 S has everything your future star needs to have fun and stay safe. 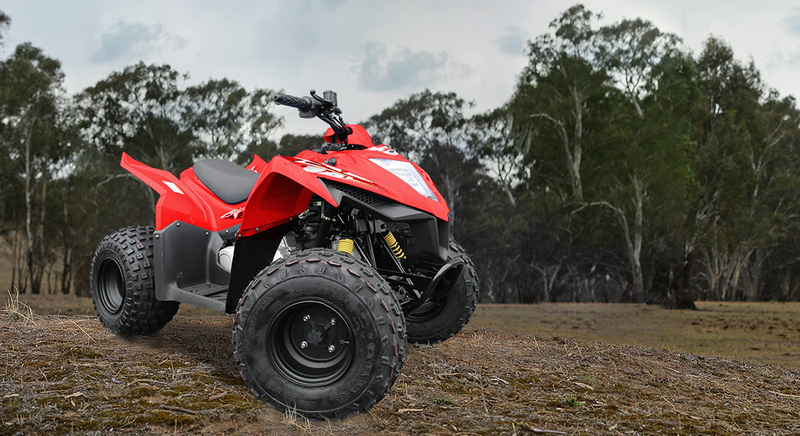 Single a-arm front suspension and unit-swing rear suspension provides stable handling while the 89.9cc four-stroke engine offers reliable power. Safety conscious features like a throttle stop, ignition cut-off lanyard and keyed electric start will help keep the fun under control. With KYMCO Mongoose 90 S your future star will be ready to tackle any adventure they can find.